The snazzy new Google Home Hub doesn’t have a camera on it, ostensibly for privacy reasons but also possibly to downgrade the cost. Nevertheless, industry watchers at the company’s rollout of new hardware on October 8 in New York City called it strange — given that Google is pushing Duo video calling so hard on other speakers and smartphones. So in a weird twist this week, Android Police discovered that the Home Hub will actually support video calls through Duo but with an odd caveat: You can see the person you’re calling if the device they’re receiving your Duo call on has a camera, but the recipient of your Duo call will only see your profile pic. In other words, users can make video calls through the Home Hub but they’re destined to be one-way affairs — a bit like calling someone through one-way glass at the police station. To make things even weirder, it appears that the device won’t support audio-only calls, meaning that two different Home Hub owners can’t even call each other using those very same Home Hub devices. One owner would have to call his or her recipient using a phone, tablet or a smart display that does have a camera and supports Duo calls. Google did actually spell out this feature in a support post shortly after the announcement of the device, and the company even responded to one user’s query on Twitter during a brief Q&A about the new device. 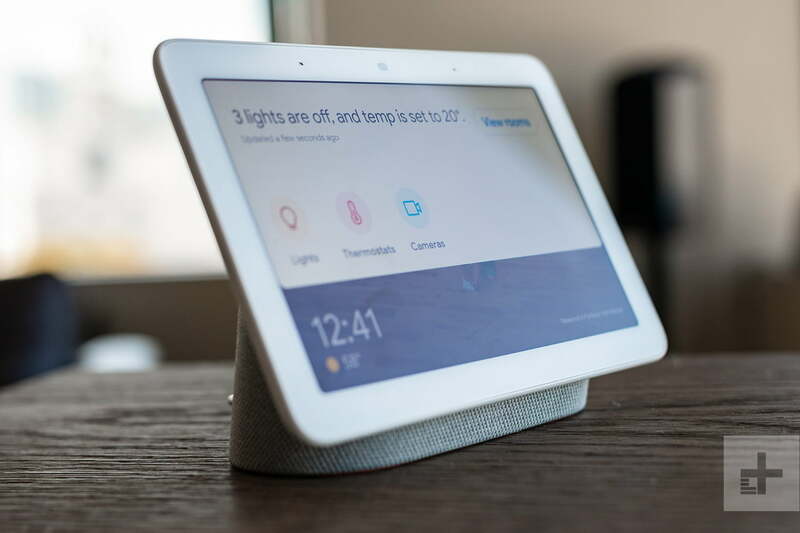 Users can also call their own Google Home Hubs simply by opening up Google Assistant on their smartphone or tablet and saying the simple command “video call home.” Assistant will then tell you it’s calling home but as it’s explained above, whoever picks up the phone at home will see you but you’ll only see the Google avatar associated with that account. It looks like Google is prepared to port a lot of the features of the Google Home Hub over to other smart displays as well, including third-party manufactured products. For example, a recent software update added a bunch of bells and whistles to the new Lenovo smart displays including multi-room audio, Live Albums from Google photos that include an ambient mode that filters and heightens your best photos, and a Home View that enables users to view and control all of their smart home products on a single control platform.